Casual Dining and Professional Theatre Entertainment at a Great Price! 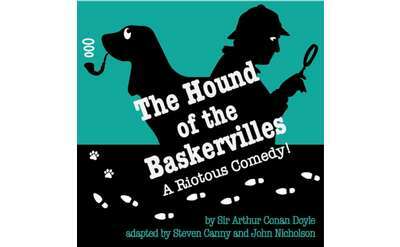 THE HOUND OF THE BASKERVILLES (running 7/12/2019 - 8/31/2019) - Sir Arthur Conan Doyle's most celebrated Sherlock Holmes story gets a rollicking makeover in this hilariously barking spoof! When Sir Charles Baskerville is found mysteriously dead on his estate, everyone's favorite detective is summoned from Baker Street with his trusty sidekick, Dr. Watson in tow. Three actors play 14 different characters bringing you from the streets of London to the Moors of Devonshire in this fast-paced, uproarious adaptation. Get your deerstalker cap on - THE PLAY'S AFOOT!! 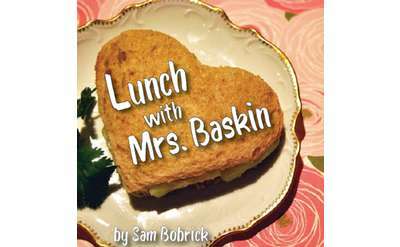 LUNCH WITH MRS. BASKIN (running 9/12/2019 - 10/19/2019) - Although she has no intention of buying anything, Mrs. Eva Baskin, a sweet, retired widow, continuously sets up appointments with sales people solely to have lunch and conversation with them in her home. Two young sales people, Terry, who (not very successfully) sells garage doors and Kira, who (successfully) sells solar panels and has just learned that her fiancée is cheating on her, accidentally meet in Mrs. Baskin's apartment. Although neither has the slightest intention of getting involved in a relationship, Mrs. Baskin thinks otherwise. 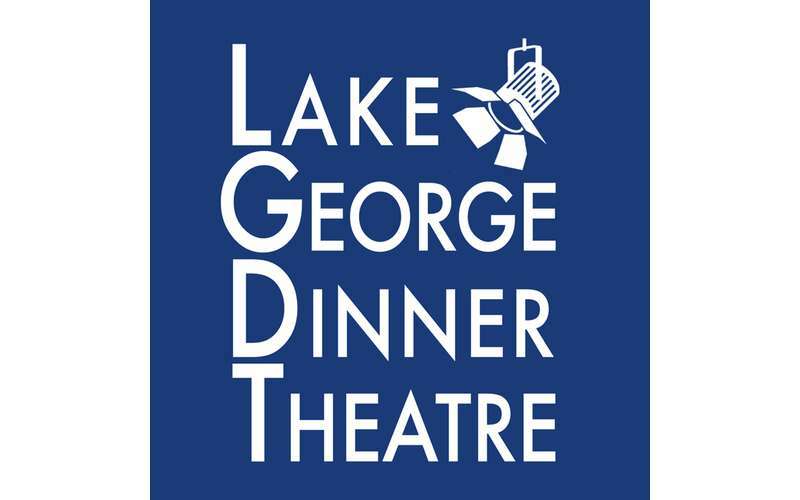 The Lake George Dinner Theatre is located just 1/2 mile off Exit 21 of the Northway (I-87) in the Holiday Inn Resort, 2223 Canada St., Lake George. Tableside service by our friendly wait staff. No buffet lines. The smallest, most intimate professional dinner theatre in America. A choice of four delicious entrees (medallions of beef, oven-baked chicken breast (gluten free), broiled atlantic salmon (gluten free), vegetarian pasta) served with salad, rolls, vegetables, and dessert with coffee or hot tea. Bar beverages extra. For more information, visit their website or call the Box Office at 518-668-5762 x411! The Great Kooshog Lake Hollis McCauley Fishing Derby is one of the best shows the Lake Theatre has ever done. You don’t want to miss it. The play is hilarious, you will laugh through the whole thing. The performers are brilliant, they really draw you into their little town. Truly great, relaxing evening out with your friends.